(CBSNewYork, Nov. 8, 2017) WAYNE, NJ — A so-called “teen-tax” has left customers at a New Jersey restaurant with a bitter taste in their mouths. 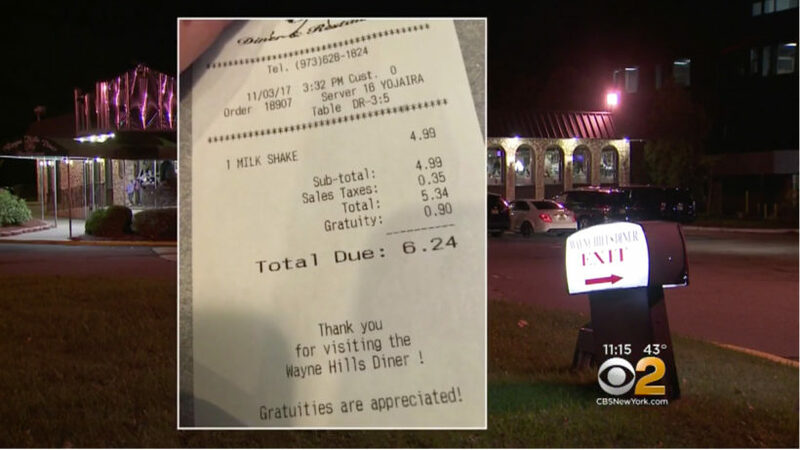 At the Wayne Hills Diner and Restaurant, the checks clearly state “gratuities are appreciated,” but one mom says for kids and teens, the tips have become mandatory. Desch and her family have been going to the diner for years, so she was disappointed and surprised when her 11-year-old daughter sent her a picture showing a 90 cent tip was unknowingly added to her milkshake. “I got charged gratuity and my mother was there the same day and she didn’t,” Melissa’s daughter, Bella Venezian, said. Her friends got charged $1.31 and $1.58 extra. Melissa thinks they’re being targeted. CBS2’s Jessica Layton went to the restaurant to try and ask someone about the policy of adding gratuity for some and not others. The owner didn’t reply, and the staff referred CBS2 to their attorney, who said the kids have been showing up at the diner in groups of 20 or 30, staying for an hour or two, and the majority don’t leave a tip. Melissa wonders whatever happened to tipping being optional. She says she’d like to see a consistent policy. (by Aaron Young, Des Moines Register, Oct. 25) – The Iowa Department of Transportation wants to remind motorists that fall is breeding season for deer, so chances are you’ll likely spot some while driving along the state’s roadways. Just pay attention to those deer crossing signs. 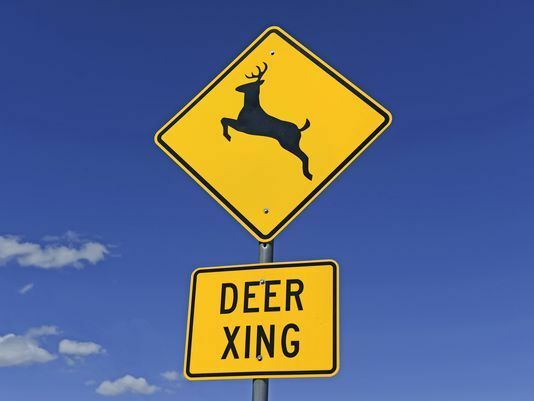 “We actually get this question on a pretty regular basis: ‘Why don’t you put these signs where it is safer for the deer to cross? '” the Iowa DOT said in a Facebook post Tuesday. But it never hurts to be crystal clear in order to be safe — especially when there were 7,163 crashes reported to law enforcement across Iowa in 2016, Tyler Harms, a wildlife biometrician with the Iowa Department of Natural Resources, told the Register earlier this month. According to a recent study by State Farm Insurance, Iowa drivers have a 1 in 69 chance of hitting a deer. Those odds rank fourth-highest in the country. Additionally, 65 percent of Iowa’s animal-collision claims are filed between September and November, per Farmers Insurance. “Don’t veer for deer,” Harms reminds. “Be sure you’re vigilant and alert when you’re driving, and that will be helpful,” he said.